Close your eyes and sit back in your chair. Tune out all of the outside noises and the world around you. Take a step away from the sounds, voices and happenings and create a world where you hear just one voice and Listen. As the story begins we meet Ms. Virginia Bean a woman that has worked at the same job for ten years. A job that required that she stand on her feet for many hours and a job that she really did not embrace or enjoy doing. But, when she lost it she found herself floundering and wondering what life had in store for her. Ms. Virginia Bean is about to take a journey in life that will lead her in many directions, teach her numerous lessons, help her deal with her frustrations and anger by learning to overcome the many obstacles we all face but in a unique and different way. After losing her job Ms. Virginia Bean goes on a very one of a kind interview hoping to get a new job. But, what she finds and who greets her is not exactly what she or anyone else would expect. Entering the office of a man called Mr. Spurt she is surrounded by a strange bright light and a room that is totally white. Sitting in a white chair and facing a man behind a white desk she greets him and he asks, “Are you here to find faith.” Stumped at first and really not understanding the meaning behind the question he tries to enlighten her explaining that she was about to receive something special, a stone that would help lead her to where she needed to go. She just had to learn to listen to the stone. Leaving the room and returning home she was puzzled by what she heard and decided to return. When she did the building and the man was not there. Returning home she went to bed and now her journey would begin as the Stone would take her to places she has never been before as you the reader and this reviewer will learn what the first of five stones will relate to Ms. Virginia Bean: Listen. The stone was white and when she finally decided to find out more about it she learned that not only was she Beloved but that was the meaning of the name David who slew Goliath. She also learned from this precious White Stone the meaning of knowledge and how it would help her to find the answers she needed on her journey in life. From there she was able to revisit Mr. Spurt now calling himself Mr. Stream and her lessons would continue. As we get to know both characters we learn more about Ms. Virginia Bean and her thought processes about trying to find the true meaning of the word Listening. As she gains the knowledge that she needs to move ahead and understand the power it yields to do all that she needs to do she returns to the original place and asks more questions. Learning that her name means Pure and that she is his daughter surprises her as she relates that she has made many mistakes and does not feel the word fits her. Frustrations and anger take hold over her until she hears to whisperings of the stone and returns to Mr. Stream and received the second one called Trust. Trust is like a mood ring and the three colors, Black for negative, white the opposite and gray when her mood could go either way, will help her to decide when she is truly ready to trust and take the next step. Being in the presence of God she learns that she is his daughter and can walk with him. The lessons she learns in each chapter and from each stone will guide anyone through life as we all need to really hear or listen to the words and thoughts of others and trust is something very special when it pertains to how we feel about another person.
. She is given 5 different stones. They represent listening, trust, optimism, tenacity and constancy. She learns that these are the 5 things we need to remember to guide us through our lives. Ms.Bean realizes that things are not always as they appear, the future is not always clear, stay optimistic, no two people have the same journey in life and to be constant as to what matters most. Valuable lessons to be learned for sure. I found this short book to be very enlightening and a pleasure to read. When Ms. Virginia Bean looses her job she goes on a journey with God and discovers what she has inside her that she didn’t even know was there. When she meets God he gives her 5 stones (like the 5 stones David used to conquer Goliath). These stones represent exactly what you need in all of life’s quests – Listening, Trust, Optimism, Tenacity, and Constancy. Only when Virginia fully develops all these qualities will she be ready to face what life has to throw at her. And life does throw her a few Goliaths! All of these qualities (Listening, Trust, Optimism, Tenacity, and Constancy) are traits that everyone needs in their everyday life, not just when trying to find a new job, but when struggling with a relationship, moving, buying a new house, trying to deal with the death of a loved one, anything really that you need help moving on with. Read this first – as a story. But then keep it with you as a reference book for how to use what God gave you for your life. When the company she works for relocates to another state, Virginia Bean loses a job she’s held for ten years. With no replacement employment lined up, she’s floundering trying to figure out what to do next. Showing up for a job interview, she finds herself embarking on an unexpected spiritual path. Insights, like the fact she hadn’t been happy at her previous job, begin to reveal themselves. Gaining someone’s trust is not an easy task but before Virginia can move ahead she needs to understand that life has many challenges, everything will not always go smoothly and asking the right questions, learning from her previous job and finding the positive which leads to stone 3 Optimism. This stone is brown with dark lines of black running through it. In order to reach optimism she needed to listen and trust and turn to God. Virginia decided to create a list of all the experiences in her life that turned out to be negative. She set upon the next day to go on interviews. Making new friends in her social networking groups and learning to listen, trust and find optimism would be her guides. Going for the interview in the Clothing Factory was unique and the name of the interviewer Mr. Style was apropos. Accepting her negative experiences and using what she learned to create an independent and amazing new Ms. Virginia Bean is only part of the author’s message. Not getting the job really upset her and the reasons she did not surprising as she learns another of life’s lessons from God. With the help of a friend and some creative thinking Virginia would use her knowledge and skills from working at the doughnut factory and her motivational speaking classes and create her own business. Next, Tenacity, the fourth stone that is also white which sends the message, “ Keep Going, Keep Swimming, Keep Writing.” With the help and encouragement of God, her friend Paul, Ms. Virginia Bean decides to take some risks, create her own business and even develop a relationship with Paul. But, what happens next would test her strength, understanding, tug at her heart and hopefully make her stronger. What happens next will give everyone the courage to believe in God, trust, go where life leads you and understand the amazing lessons that Ms. Virginia learned along the way as one kind friend is gone and another door opens. The final stone is Constancy and it is clear. It will help not only Virginia but also everyone know what matters most. It’s meaning and how it will help you handle the problems in life you need to take this part of the journey along with Virginia yourself. To help Virginia and the reader remember the lessons being taught the author has included a Spiritual Guide at the end of this book. Listening, Trust, Optimism, Tenacity and Constancy are five important words that link everything in this book together. Each stone was filled with energy, God’s voice that was heard by Virginia and the reader and the meanings they imparted in order for everyone to overcome their obstacles or Goliaths. David had to learn how to throw stones and overcome his fears or obstacles too and after reading this well written, thought provoking 104 pages you will be able to make that first move to finding out what you need to do in life and how to get there by overcoming you own Goliaths. Accepting defeat, negatives and learning to move past what life has placed in front of you by asking the right questions, believing in God and having the faith in yourself, are just some of the lessons learned in this book. Read the story of the winepress in the Old Testament and understand the message there and you will find the true meaning of the five stones. Everyone has the power within himself or herself to lean on God, listen, trust and the rest will come. Inspirational, thought provoking and definitely a great book to help guide everyone through hard times. Losing a job can be devastating but using what you know, accepting the kindness and help from others can often bring you through the dark clouds and into the bright light. Guest Post: Story Line or Action: Which creates an effective story? An effective children’s story is a combination of story line and action. The action captures the readers’ interest. But the underlying message of the story line makes the story believable. My story ideas come from incidents from a child life, news articles or observations that involve children. Most often, I find the punch line or climactic scene first. Then, I work backwards to develop the main character, dialogue and setting. Before Porcupine’s Seeds was written, my four year old son and I were planting seeds in pots. My son tripped over the threshold and the soil and seed scattered all over the floor. This became Porcupine’s climactic scene. Once, a story came from a conversation with my friend, Monica. She relayed a story of an Easter egg hunt in her home. Her older son hid all the eggs. Her younger son and his friends could not find the final egg. It blended in with the lemons in the lemon tree. This was a perfect climactic scene. I wrote “The Easter Egg Hunt”, a short 100 word story for Highlights for Children. Another time, I took my daughter and her friend, Ani, bowling. Ani tried to tap dance while he was waiting. The incident sparked a story idea incorporating different dance traditions. I wrote “Brianna’s Beats” for Hopscotch for Girls. A children’s story is geared to a young intelligent audience. If they do not find a message or character development in the story line, they will sense something is amiss. The main character’s persona needs to grow by the end of the story. He or she cannot be the same person that was introduced at the beginning of the story. In Porcupine’s Seeds, Porcupine does not just grow sunflowers. He also gains confidence. In “The Easter Egg Hunt”, Dominic unravels the mystery behind the hidden eggs. In his revelation, he feels empowered. And in “Brianna’s Beats”, Brianna learns different beats from different dance traditions. With her new knowledge, she wants to incorporate them in one dance, showing her creativity. The growth of character in a story cannot be merely told to the reader. It needs to be seamlessly shown through the character’s action and dialogue. In turn, these actions and dialogues have to be in line with the character’s personality. Young readers are astute. They are sure to spot a story that is sloppily put together and does not feel right. Starting with the story line works best for me. I follow it with careful development of the main character. This unfolds the message of the story naturally and subtly resulting in a complete and strong story. A fire would change the lives of three children forever. As they watch their home burn into ashes and see their lives go up in flames what will be their final fate? Emma, Eli and Evey Wilson have lived through a devastating fire that enveloped their home, took away all of their possessions and would orphan them. Fearing that they might wind up in foster care and separated they were lucky that the social worker was persistent and found their grandfather. Fast forward twenty five years as the girls moved to Louisiana to live on their grandfather’s ranch and now let’s find out what happens to them in the present as once again author Karina Gioertz presents a story that is heartwarming, humorous, sad and will definitely touch your heart. Moving ahead to the present we meet Emma and Eli along with Harry living and working on his ranch. The dialogue and banter among all three lets the reader know just how much they have grown and how they care about each other. But, the reader also gets a hint that something is definitely wrong with Eve who writes she is having a child but has not been in contact with her family that often. Listening to Eli speak about her sister and their discussion about the man she married leaves the reader wondering about Eli’s marriage and the rest still remains to be seen. Next we see both Emma and Eli at Mike’s bar and the discussion rather rowdy leads to a barroom fight and landing them all in jail. This is one scene that is hilarious. What follows next will alert the reader to the fact that Eli is not only perceptive but right on target about Evey’s husband. One phone call would change the dynamics of everything for these three girls as Emma finds out the truth about her sister’s life. Rescuing Evey brought the wrath of her husband Preston but what Eli does to quiet him down his a riot. Pointing a gun at them a mistake what she does downright amazing. What were they going to do with Preston and how were they going to get away with what they did to him even though he deserved it? But, what happens to him is right out of a Laurel and Hardy movie with a little more drama and tons of humor if you really want to think about it and will bind these sisters forever as they create an illusion that hopefully will remain in place. This is one story of loyalty, love, friendship and hope that you won’t want to miss. The characters in this novel are all different even though they are sisters. Each one is so well defined and described by the author and their personalities so full of energy and honesty making her novels stand out. The plot line is true to life and the situations although fictionalized in this book examples of real life incidents that could really happen with some comical twists, turns and tears along they way. But, they are not out of the woods by any means as Preston’s family hires a private detective to find him and Evey reporting them both missing. Eli’s reaction to the PI is a riot as she hampers him from finding the ranch, refuses to give him directions and explains that since he is the PI he should be able to figure how or use his GPS how to get somewhere. When the investigator shows up and the discussion is completed the end result is Harry feels they might need a lawyer. Enter Shawn doc’s nephew and tough Eli gives him jibes, jabs and more flack than you can imagine as two police detectives show up, question Evey and the hunt is on to find out where Preston might be, who will be found guilty if anyone and whether Eli will ever lighten up and give poor Shawn a chance to help her. But, more secrets come out about the truth about their parents, what happened to Harry’s daughter and their father. Lies, secrets, betrayals and one woman’s life hangs in the balance when trying to defend her sister. With Shawn trying to help Eli and the police trying to make a case against her will she see the light and allow someone help her? Why is she so angry all the time and when will the wall come down? As Emma tells the story in her own words we hear the human emotions coming through loud and clear as each character’s individual voice and frustrations are heard. What happens is short of a miracle as the author allows the reader to see Eli in a different light as Shawn tries his best to clear of her any charges before they are pressed. One family bound together by the secrets of their past, one night that they would never forget and a love that is so strong nothing would or could tear them apart. What Shawn does and how he just might figure it out is great as he baffles the investigators and proves that some lawyers are three steps ahead when the police are more than five behind. Just how this how this all works out and what finally happens you will learn if you read Country Girls and get to know Eli, Emma and Evey and a special surprise at the end when you read this great book. Harry Wilson said it at the end of the novel and I have to agree: When he looks at the three girls he realized that “He finally got something right.” So, did author Karina Gioretz when she wrote this amazing Five Star book. What will the future hold for this family and where will life take all three? Let’s hope she writes the sequel real soon. Some presents are more precious than gold or diamonds. If I could speak to you from wherever I am up in heaven, I am Lucky’s grandma Pearl and she was the best gift I ever received on my birthday. Bringing me smiles and joy from the first moment she was born I am so glad that she is living in my house and of course I have a place of honor in a special Urn on her mantelpiece. Lucky is great. She is smart, beautiful and has three hunks for roommates. What else could any young girl want or any grandmother? It would be nice if one of these hunks decided to become hers but that’s not the case. Each of these great guys either has a girlfriend, her lab partner or just a roommate. Noah is lean and trim and quite hot. I can tell from here. Jason is just plain as she states beautiful and let’s not forget Gabe. Each one has his own endearing quality one that allows me to rest up here in peace. They are overprotective and look out for her safety and welfare like three older brothers. Lucky is about to embark on something different that many others have tried. Relating it to Jason he decides to go with her to try it out. Many of you call it Speed dating where you sit at a table and you talk to someone for five minutes or whatever limit they set on the timer and then the guy moves to the next. I guess at the end of the evening you learn if anyone is interested. But, first she and Tara discussed Jason during their free time at school and Jason being a typical guy wanted to know everything Tara said about him. But, there is so much more that author Karina Gioertz has to share with the reader in this humorous, heartfelt novel about Grandma Pearl’s granddaughter: Lucky in Love. Speeding Dating was next on her agenda. Not worrying about getting how she looked, putting on makeup or dressing to the nines Lucky deciding to wear what she did all day at school. Assessing herself she realized that this was definitely what most would say was a What Not To Wear to Get a Guy Outfit. But, on the other hand, both Tara and her friend Jason looked hot. Her first encounter was with Ron and what happens is totally hilarious. Pretending to be a Vet and not an educator the conversation is a total riot and the outcome well poor Ron. The next guy was as she stated unsightly and each time she met someone she changed her name hiding her true identity for some reason and of course her real job. But, date number three turned out to be okay as Lucky decided she was finally in Luck! At the end of the evening she is left alone and when she finds her car well you put them together. Coming face to face with Jason and Tara doing a semi-horizontal romp in the back of her car was not something that she wanted to see up close and personal. But, poor Lucky was not home free, as she needed Gabe to come and rescue her and take her home. Why? That you will have to ask her because I’m just relating the facts as I see them. Talking about the speed dating with Gabe was okay as long as Noah did not find out or asks any questions. Told in Lucky’s own voice in the first person narrative she will continue telling you the rest of the story. Saturday Brunch is a tradition. I cook up a storm and the only people invited are my three guys and me. We are family and no one interferes with our special time together. Not forgetting Grandma Pearl, her place of honor we begin eating until we cannot eat any more. The food at this Brunch I have to say is more than this reviewer eats in a month. The fresh fruit and yogurt dip sounds great but the rest, although delicious would not fit into my diet plan. But, they all had fun eating as we once again hear Lucky and what happens next. Noah has a habit of dating too many different girls and this very Saturday morning he came down to Brunch and unbeknownst to the rest of us he forgot to tell us about his visitor who did not seem to be too thrilled. But, there is much more as we meet D Noah’s boss at the bar where he works, Lisa and a very special waitress named Terry at the all night diner. But, as you get to know my three guys you will learn that they are more than just roommates. They are loyal, kind, caring and definitely protective of me and watch out for my best interests when my judgment is impaired. As you will learn when you read about my date with Trevor the guy you remember that met at Speed Dating Night. First impressions are not always what they seem and after dinner and some drinks I got a rude awakening about Trevor as D saw him do something to my drink and the rest you might say is more than just history. Realizing many things about myself I tried to make it up to Noah and maybe face up to how he really feels about her even if I am not listening or focused on his words. But, reality sets in the next day and I wanted to talk about what happened and Noah wanted to date Amy. Author Karina Gioertz takes the reader on the roller coaster ride of being single and dating. She introduces characters that blend well together, care about each other, are protective for the most part of their feelings and allows both Tara and Lucky to confide, laugh, bond and enjoy their fun time together without letting their other relationships get in the way. So, what will Lucky do about Noah? Why can’t she seem to find someone to trust and will he remember what he said to her and what he did in front of Grandma Pearl? But, then something happens that changes the dynamics of the family and Noah finds himself angry at Lucky and their friendship takes on a cold front. Buying a new couch would stop anyone from doing anything they should not on it since the new one made a horrible noise when you sit on it and was totally ugly. There is still much more before all is said and done. Things start to heat up more and friendships are tested as Gabe expresses his feelings to Lucky. A bet made to see whose students would get higher grades and the winner a hundred dollars richer. Just how Jason breaks into Lucky’s computer and what he learns about her you will have to read for yourself. As my birthday approached something happened that night that made me realize just how alone I am. With a house full of friends living together, and a party in my honor I was still alone. Everyone there had a date and everyone was talking around me but not to me. Imagine how I felt sitting there on my supposed throne everyone talking, eating and having fun but me. Presents did not seem to change things as I opened them and loved each one but at the end of the evening she went home alone. Remembering Grandma Pearl and that they shared a birthday made her cry as she started talking to the urn and telling her grandmother as she faces the harsh realities of her life. Three good friends all in relationships where does that leave Lucky but she felt better after speaking to her. Sometimes just expressing your thoughts out loud will help you understand more than you think. Hidden in the background listening to her was Noah. Why didn’t he face the way he feels about her instead of hiding? Friends separate and Lucky moves on to another job. Just what happens you will have to learn for yourself. Feelings kept bottled in and truths not revealed until it’s too late. Where will these friends wind up? Will Noah ever face his feelings for Lucky? Will Jason and Tara stay together and what about Gabe? Moving to New York with Jeanette will he be happy? Selling the house is like giving up her life and saying goodbye to Grandma Pearl. Who buys the house and what brings Lucky back home? Read Lucky in Love by author Karina Gioertz but make sure you bring along the tissues where needed, the smiles and hugs for all of the great characters in this book. Just how strong is their friendship? Lucky in Love: A great summer read and an even better one sitting in front of an open fire on a cold winter’s night with someone you love. Fran Lewis: Reviewer and let’s not forget Grandma Pearl. I am honored to welcome author Viji K. Chary as my spotlighted author in this interview. The World of Ink Network will be touring author Viji K. Chary’s children’s picture book, Porcupine’s Seeds published by 4RV Publishing. This is one stop on her exciting tour and road to success. Porcupine longs to grow beautiful sunflowers in his garden just like Raccoon. When Raccoon give Porcupine seeds, she says that all they need is soil, sun, and water. But growing sunflowers is not easy for Porcupine. Viji K. Chary was born in India and immigrated to the United States at the age of two. Her passion for writing stories began in elementary school and has evolved from coaching children in various activities; including gymnastics, classroom activities and creative competitions. Her stories have been published in Highlights for Children, Ladybug Magazine, Hopscotch for Girls and many more. Fran: How did you create your main character of porcupine? Why did you choose to create a story centered on animals rather than young children? Fran: What problem did you create for your character to solve? Fran: What message did you want to convey? Fran: What made you decide to write a picture book? Fran: What type of stories did you submit and get published by the three magazines stated on your bio? Fran: When writing your stories or children’s books do you decide on a specific theme or do you create a story line first and then the theme? Fran: Who or what inspired you in elementary school to write stories? What was the first story you ever wrote? Fran: Why is writing a great outlet for both adults and children to express their feelings and ideas? Fran: How is this a great way for children to take ownership of their words and thoughts and produce something that is individual to each one of them? How do you encourage children to write? Fran: Who is your favorite children’s author and which children’s book is your favorite and why? Fran: What made you write The Porcupine Seeds? Topic: Since your book is geared to young children and yet everyone can learn a lesson from Porcupine’s determination to succeed: When writing a children’s book do you feel the primary focus should be the action or pictures to capture the child’s interest or the story line and message to teach a lesson and encourage them to read it or both? What appeared right in front of an entire group of doctors and nurses in the ER was just an illusion you might say. One young woman fatally wounded in an accident died on the table. How can she still be walking around? One doctor would not give up. One doctor after everyone said he needed to call her death refused to give up with every ounce of his fiber to prove they were wrong. A puzzle is a problem that needs to be solved. Another word for puzzle is an enigma. Solving these puzzles requires intelligence, ingenuity and understanding the basics of what goes into putting the delicate pieces of some fragile puzzles together. Enigmatology is the art of solving or creating the solutions to these puzzles. Puzzles can be contrived for entertainment purposes or they can originate from logical problems. The solutions often require recognizing patterns and creating a specific order to place them. Those with high inductive reasoning aptitudes can solve these puzzles or enigmas more readily than others. Dr. Jeremy Logan is an enigmalogist. He is the doctor who would not give up on the young girl critically injured in the ER. If questioned about his vocation he would answer that his job is to investigate phenomena, which lies outside the realm of the normal bounds of human existence. Dr. Ethan Rush of the Center has hired Jeremy Logan for a specific job for Transmortality Studies. Many people claim to have had NDE-near death experiences and this former anesthesiologist dedicated his career and life to this phenomena after his wife had a NDE. Behind the assignment is someone else that Rush has not revealed to Logan. Someone that is powerful and quite well known. Answering few if any questions Logan decides to be flown to Egypt where he always wanted to work but the final destination would not be there but in Sudd. Enter Porter Stone, archeologist, treasure hunter and definitely a man with the Midas touch. Reclusive most of the time his presence would make a strong impact on both Logan and Rush as he reveals the reason Logan was asked to join the team and the project. Imagine finding the original tomb of King Narmer the ruler of Upper Egypt killed the King of Lower Egypt uniting both the upper and lower parts 5000 years ago. Events that happened back then relate to the reason for the dig right now. As Rush and Logan fly to Egypt for the short stop where he meets Porter in one of the back rooms of the Museum of Egyptian Antiquities the reader gets a first hand tour of the museum, the exhibits, the treasures and the many different smells, paper and artifacts stored there. Crypts, narratives and much more are revealed to Logan, Rush and the reader as author Lincoln Child’s research and knowledge is shared. One man named Flinders Petrie would set in motion a chain of events without even knowing it. One small object found by this amazing man named Porter would set in motion what is about to happen throughout this novel and to Logan. “An ostracon is a piece of pottery (or stone), usually broken off from a vase or other earthenware vessel. In archaeology, ostraca may contain scratched-in words or other forms of writing, which may give clues as to the time when the piece was in use. 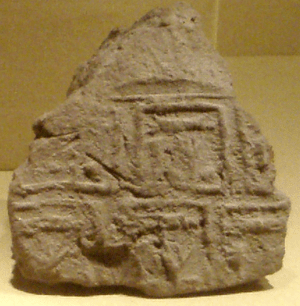 The word is derived from Greek ostrakon, meaning a shell or a shard of pottery used as a voting ballot.” This object in this case a coaster has inscribed on the back just where the original tomb of Narmer is. This is considered the key to the biggest archeological secret in history and the author as is related to the reader learns that this ostracon is comparable to our notepad. With four pictures on the back and the history of the crowns revealed we learn that one King wore a Red Crown while the other White. When Narmer became Pharaoh he and those that followed wore both. But, before he departs and leaves both Rush and Logan, Porter emphasis that the seriousness of the situation, the importance of getting what needs to be done quickly and the strange things that have been happening hence the need for Logan. Supplies are missing, equipment malfunctions or does not work out of nowhere and much more. Stone is an enigmologist and deals with the supernatural. Will he find anything like that when he reaches the dig? What other questions will he ask or need to have answered before the end result is revealed? Could this tomb be cursed? What if someone heard voices or ghostly sightings occurred? Do you think the Pharaoh himself does not want anyone to touch or violate his tomb? Sudd is not exactly the location where anyone wants to be and what he or she finds there will be more than just the unexpected. The search and the dig will incorporate experts in two fields of study. Some would be from the NDE such as Rush and his wife Jennifer who many say is able to channel and use her keen abilities from her NDE to hone in on spirits that linger after death. Can she communicate or speak with these spirits that have been gone for 5000 years? Treasures buried within his tomb. Four hieroglyphs to help determine what they might find within the tomb when they find it and enter. The first the symbol is of the red crown from Upper Egypt and the second white for the lower crown. The third depicted the tomb or the vault and the final one the SEREKH: Narmer’s name leading them to believe the crowns are buried with him. But, that has never happened before and with research and study Logan learns that these crowns never passed over to the other side and non-were ever found. Witnessing Jennifer’s skills and seeing her in a trance is frightening. Learning more about her NDE will hopefully help rid herself of the spirits that seem to be speaking to her. Just whom these spirits are you won’t believe as she reveals more about them to Logan. One man is electrocuted and hurt, a generator is on fire, skeletons found, bones uncovered and lives at stake. But, when the author allows the reader to enter the tomb with Logan, Porter and the rest of the team we are taken on a tour and shown artifacts, Necropolis Guard, limestone statue, dozens and dozens of papyri as another link is found that there might be a spy or saboteur. The history and research about the time period, Narmer, the curse and the actual words he used to describe the wrath that would befall anyone who violated his tomb, author Lincoln Child takes us back in time to where it all began but is it a spirit, paranormal phenomenon or something else that is causing all of the strange and unexplained things that are happening? What Jennifer relates next to Logan you won’t expect as she explains what she saw, the Being and much more. When one man decides to touch a specific object what happens to him you won’t believe. Is it murder or King Narmer? The ending is explosive and who is really in that tomb you won’t believe, as so many lives are in danger some will live and others will fall prey to the curse that was placed within that tomb. Who tries to pilfer the tomb? Can a King create an experience that rehearses death? Did Narmer have a NDE or was it something else that caused him to go crazy? Who was Jennifer communicating with? There are many unanswered questions that we hope we will learn if the author brings Logan back before it’s too late to reenter that Third Gate. Fast paced, action packed and filled with research this is one novel that is a definite must read.